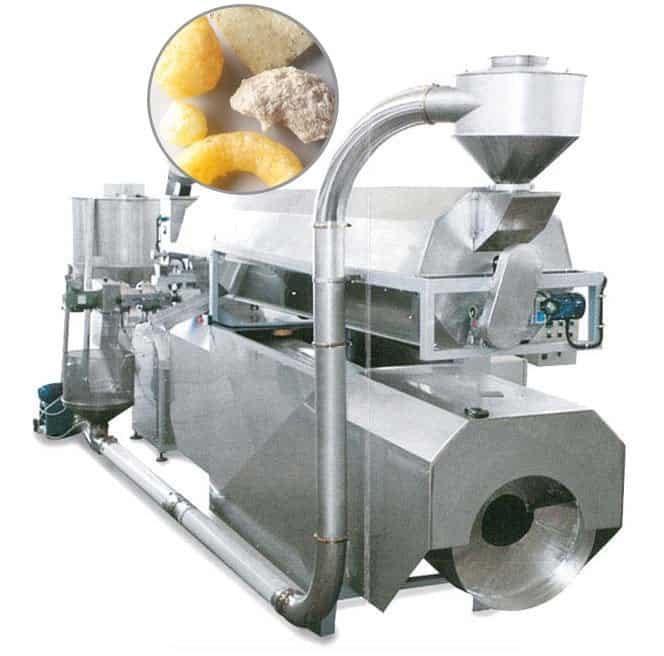 The keyword of our company is "extrusion cooking", a type of cooking that uses professional machinery able to cook cereal flour, guaranteeing wholesomeness being free of gluten contamination. 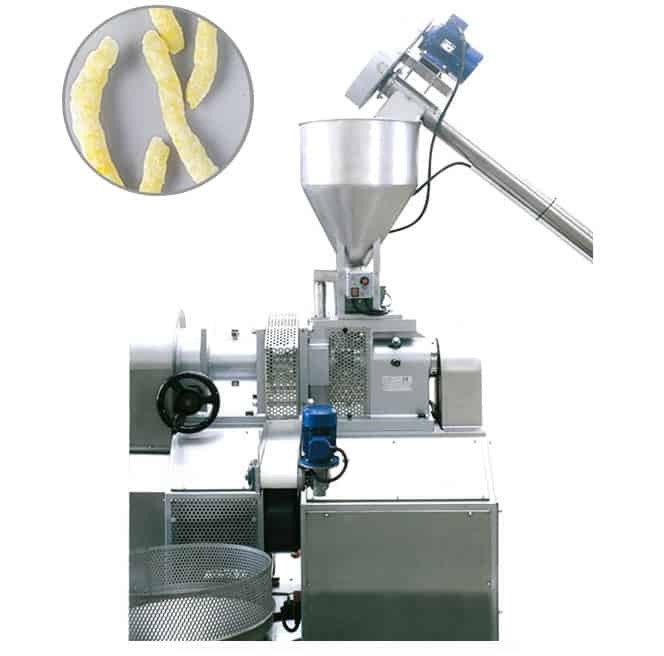 Gimen Srl, has acquired 50 years of experience in the construction of high quality machinery for the production of snacks and various extruded cereals. 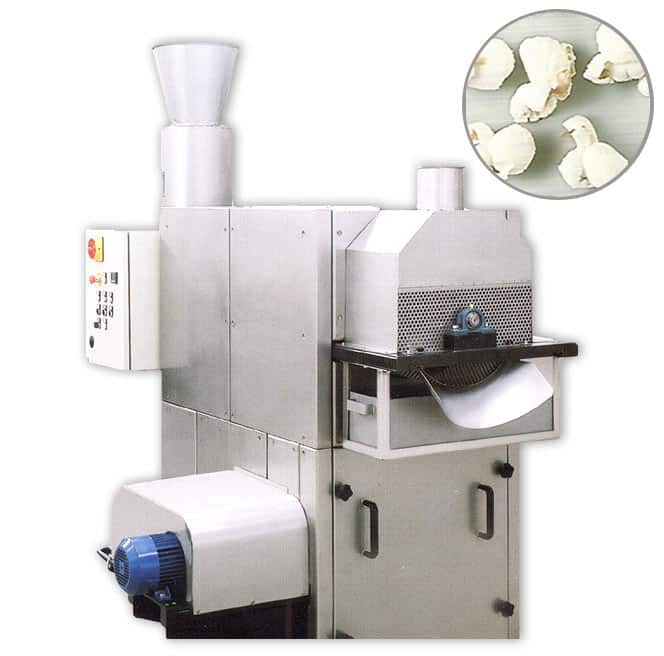 It provides solutions ranging from the handling of raw materials to the end product. 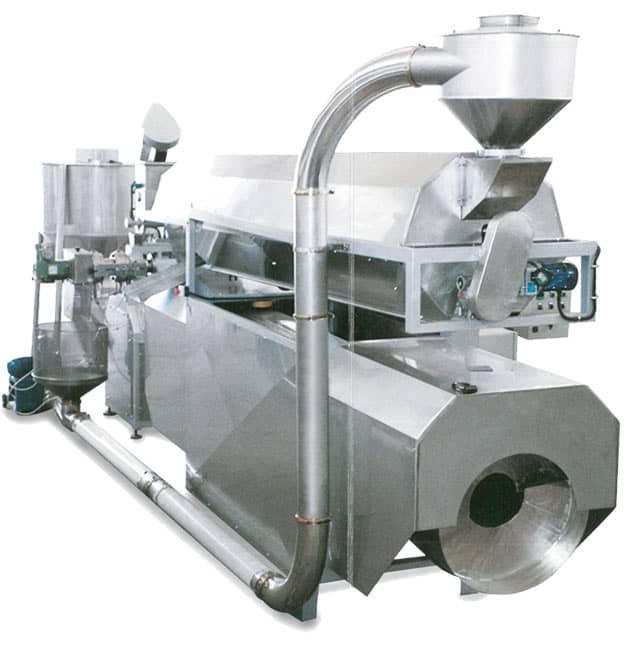 Wheat popper consisting of a stainless steel rotating cylinder, gas burner, air circulation fan complete with vibrating feed hopper, insulated stainless steel panels. Suitable to produce cornmeal snacks to be flavoured, fried or dried. The extruder consists of 2 heads (fixed and revolving) controlled by 2 motors with distance adjustment of the plates.